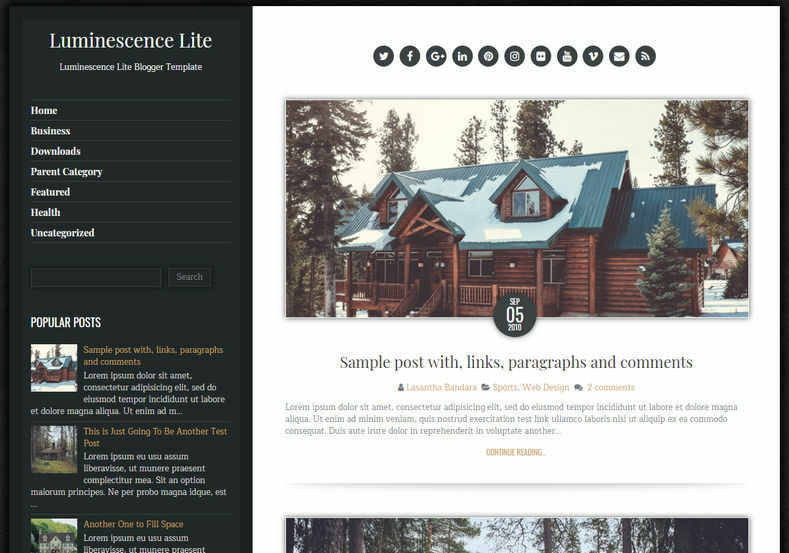 Luminescence Lite Blogger Template is a premium looking and professionally designed magazine blogger theme. This time we have came up with new fastest and good looking UI friendly design. After the successful release of Magma, Bpress, and Techpro we are releasing this super fast SEO friendly blogger theme with multi-functional and more advanced customizable options. Luminescence Lite is a minimal, responsive and retina display ready blogger theme that is designed for a powerful blogging website offering a little old-school style with modern features and flexibility. Luminescence Lite Blogger Template has clean post summaries, custom post timestamps, related posts with thumbnails, social profile and post share buttons, navigation menus, left sidebar, 4 columns footer and more.